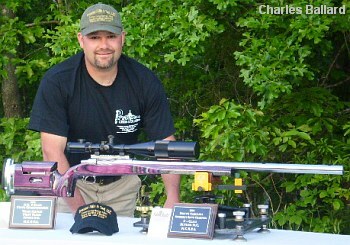 Competing at the NRA Long-Range Regionals this weekend, Charles Ballard of North Carolina shot a new, pending F-Class Open record of 200-13X at 1000 yards. Charles also won the Regionals. Charles was shooting a straight .284 Winchester with 180gr Bergers and H4831sc powder. His rifle was smithed by Ray Bowman of Precision Rifle & Tool. Charles reports: “This rifle project began several years ago. I wanted a cartridge that would launch the high-BC, 180gr 7mm bullets with barrel life superior to that of a short mag. I read the article on this site about Jerry Tierney’s .284 and the cogs began to turn. After speaking with Mr. Tierney at the 2006 F-Class Nationals I decided this was the caliber I was going with, despite several shooters telling me I would not be able to obtain the desired velocities. The action of choice was the 1.55″ round BAT MB. The MB model’s extended front end (allowing more barrel support and more bedding surface) was also a determining factor. The barrel is a 32″, 1.250″ straight contour Broughton 5C. As my gunsmith Ray Bowman says, “the Broughtons just shoot”. The chamber was cut with a reamer made for Lapua 6.5-284 necked up, throated for the 180s. The laminated stock is Precision Rifle & Tool’s F-Class. This low-profile stock has full adjustment and an extended, super-stiff fore-end. It rides the bags better than any stock I have ever shot. Share the post "Ballard Sets F-Class Record (200-13X) with .284 Winchester"
Successful marksmanship is the product of a complex system, part biological (the shooter), and part mechanical (the rifle). Too often, in our fascination with things mechanical, we forget the human, physical side of the sport. The March edition of the CMP’s “The Mark” newsletter features an excellent article by Amber Darland on physical training for shooters. 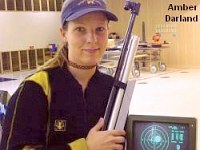 Darland, a certified Personal Trainer, is also a top-level competitive shooter. A U.S. Olympic Team alternate, she was on the American World Championship Team in 2002, and was a member of the Univ. of Alaska NCAA Rifle Team, which won four National Championships while she was there. 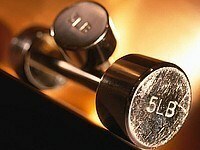 Garland says shooters should be involved in three kinds of exercise to improve their physical conditioning: 1) Aerobic Exercise to strengthen the cardiovascular system; 2) Anaerobic Exercise (such as weight lifting) to build muscle strength and stamina; and 3) Flexibility exercises. Share the post "Fitness Training for Shooters"